The MyMat is a Pulsing Electro Magnetic Frequency (PEMF) device, which produces dynamic therapeutic signals that create a symphony of waves that stimulate cells to restore their biological communication pathways, thus, induce the body’s natural healing process. 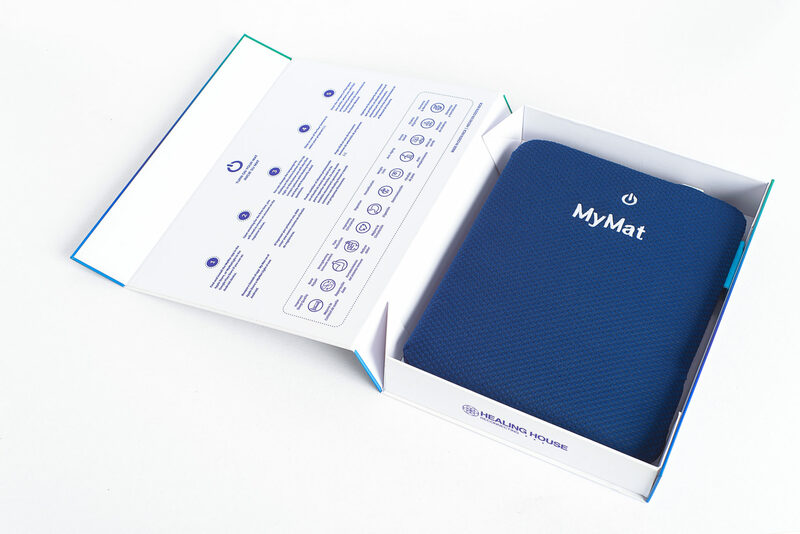 MyMat’s frequencies generate low intensity harmonic electro-magnetic signals that range in frequencies between 1Hz – 200Hz that stimulate cells to induce body’s natural self-healing processes. 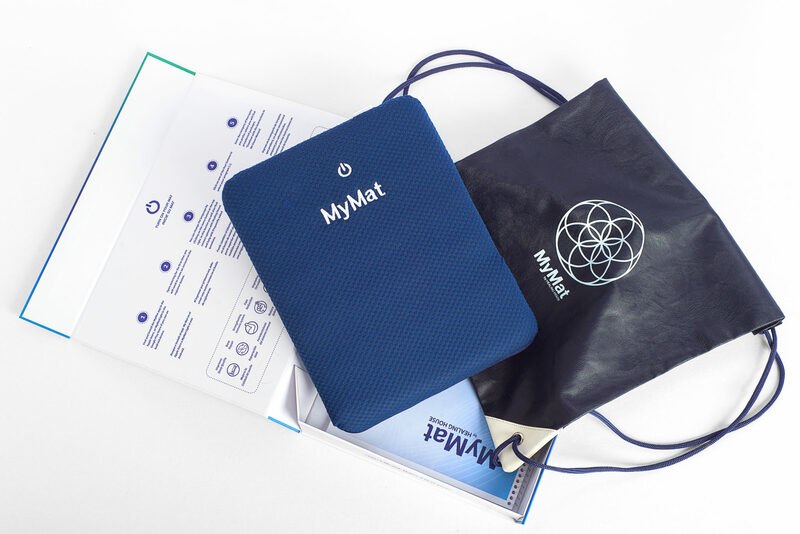 MyMat’s frequencies help activate the body’s self-regulation processes to improve well-being and the elimination of problematic symptoms in cells, tissues and organs, which occur from stress, poor nutrition, toxins, environment, trauma and aging. 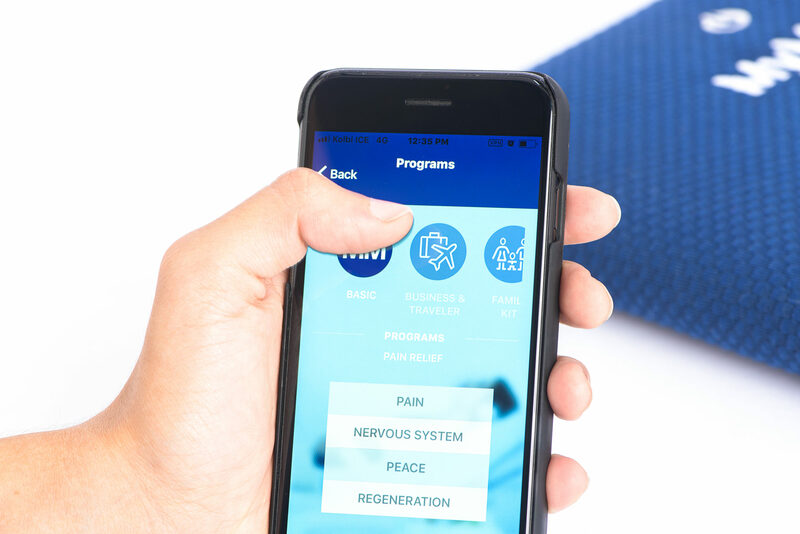 The MyMat offers possibilities to experience these harmonic frequencies from the comfort of your home, once or while you are on the move by simply downloading the MyMat Application on your phone or tablet. The unit comes in a complete package with a USB cable and charger, a pouch, user’s manual and the MyMat. By simply following the instructions in the manual and choose one or more program combinations that fit you best. When you have decided which program you need most, push the start button on MyMat, then connect it to the WiFi on your phone, run the program and let the gentle frequencies restore your system. You are just a few simple steps away from a healthier life and your MyMat is ready to go! If you are sitting, place your MyMat against your stomach or lower back. If you are lying on your back, put it on your stomach. 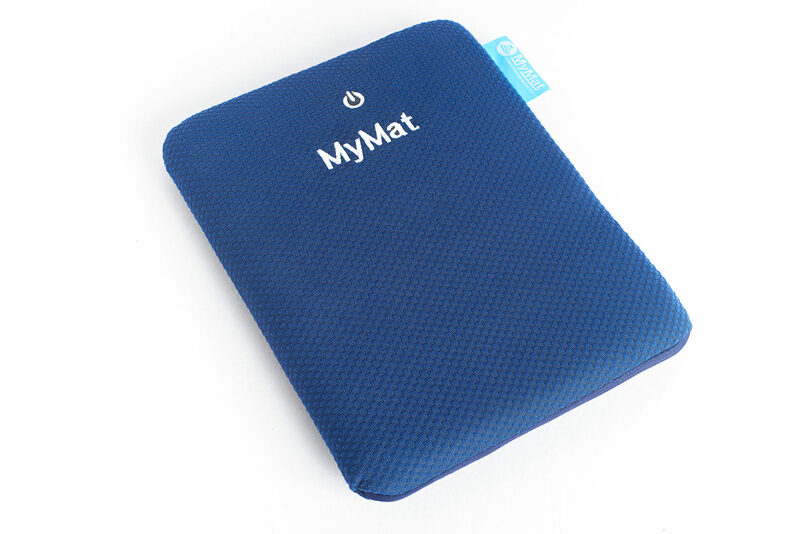 Do not sit on or excessively bend your MyMat, it can damage the internal electronics.